Home > Archive by category "Websites"
Google may mark your site insecure! Comments Off on Google may mark your site insecure! 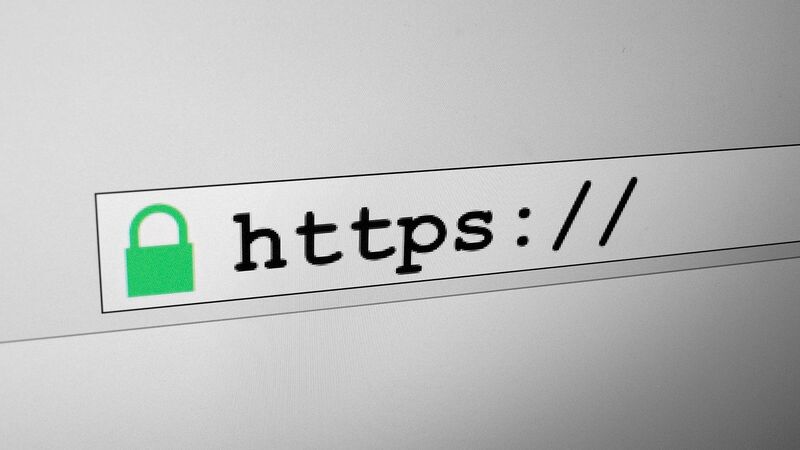 A couple of weeks ago I posted about the upcoming changes announced by Google, that sites that are not seen as secure (that is, they are accessed with "HTTP" instead of "HTTPS") will be labeled as insecure. In addition, Google has indicated that security is a ranking factor. That post provided step-by-step instructions for installing SSL (HTTPS) for your site using Cloudflare. Today Cloudflare's blog (Cloudflare is the site I used in my instructions in that post) points out that the time for Google's "insecure" labels is now only 25 days away. They also provide a quick, free, testing tool to see if your site will be seen as secure or insecure. Simply put your domain (without either http or https) in the search box, press Enter, and get the answer. Another helpful item in the post tells you not only that you can get a certificate from Cloudflare (they have free and paid plans), but they also point out another free alternative, Let's Encrypt. I haven't used Let's Encrypt, as I have been using Cloudflare. According to the site, Let's Encrypt is sponsored by many of the major players on the internet, such as Mozilla (who provides, among other things, the Firefox browser), Chrome (from Google), Facebook, and more. So with two free ways to set up a secure site, why isn't your site ready? A Free HTTPS Website in 15 minutes! Comments Off on A Free HTTPS Website in 15 minutes! Today on the Moz.com blog (one of my favorite sources of great information), there is an excellent post entitled, 8 Common Website Mistakes Revealed Via Content Audits. Not only is this an excellent article in its own right, it also provides great takeaways for action. Here's the TL;DR (and yes, I have broken out a couple of points so I have 10 rather than 8 points): 1. Be sure you think about the purpose of your page/blog post/whatever and relate it to a call to action 2. A call to action can be as big as a "Buy Now" or as small as a "Other Posts you may find useful" button. 3. Don't forget about content for returning customers, comparison shoppers, awareness (what's this all about? ), as well as how to purchase your product/service. 4. Testimonials have value both in marketing and in search relevance. 5. If you market to a locality, make sure your content reflects that locality. 6. People want to know how much this costs. 7. Potential customers don't necessarily understand your jargon - either don't use it, or explain it clearly! 8. Make sure you don't create duplicate content when moving from http to https. 9. Organize your site well so both customers and search engines can make sense of it. 10. Make it easy for people to find and to buy. Don't put up barriers! And, of course, measure the results! Using Google Analytics with ecommerce tracking you can get great information not only about where your bookings/sales come from, but also about which pages are helping to close the deal. To focus more clearly on just the important things, take a look at X-Ray Analytics, which can make that job much simpler!